Government announcements made in December 2016 confirm the RHI payment for heat pumps will increase to 10.02p/KwH from spring 2017, a 33% increase on current tariffs. The exact date is yet to be confirmed but it is expected the new tariff will apply from 1st April. In addition if you applied to join the RHI scheme on or after 14 December 2016, your tariff will automatically increase once available. 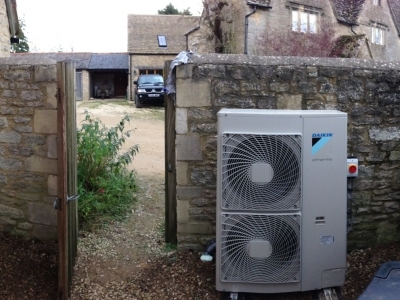 This is great news for those considering installing heat pumps and should ensure that heat pump technology is accessible for more home owners. Some additional changes have been put in place to help homeowners get the most from their system, from spring 2017, all new heat pumps applying to receive RHI payments must have an electricity meter installed with them. This is to help consumers make most efficient use of their heat pumps by monitoring the performance of their system and understanding its electricity usage. For air-source heat pumps, biomass boilers that burn wood pellets, and ground-source heat pumps, Ofgem offers an extra annual payment if you register for a Metering and Monitoring Service Package (MMSP) that monitors the performance of your system. The payments are: £200 per year for a biomass pellet boiler; and £230 per year for an air/ground-source heat pump for the first 10,000 applicants each year. Read more about the RHI on the Which? website or for more information on heat pumps see our services section.